Stressless provides a VDU assessment service to employers whereby a consultant visits the workplace and carries out a comprehensive Ergonomic VDU Workplace Assessment, including a full written report, on your behalf. The employees’ VDU workstations are individually ergonomically assessed taking into account the layout and design of the workstation, including the desk, chair, PC, printers and accessories, as well as environmental factors- work space, lighting, heating and ventilation etc. and user interaction with the workstation. Ergonomics is concerned with the relationship between people, the tasks they undertake, the equipment they use and the environments in which they work. Applying ergonomics in the workplace reduces the likelihood of accidents, reduces the potential for injury and ill health such as aches and pains of the upper limbs and improves performance and productivity. Under the Safety, Health and Welfare at Work Act, 2005 (Section 8) and 2007 (Part 2, Chapter 5), employers are required to perform an analysis of VDU workstations and work environments to assess the risks to the health and safety of users and to reduce these risks to the lowest practicable level. The most common complaints that arise from habitual and prolonged use of computers are musculoskeletal disorders, fatigue and stress. 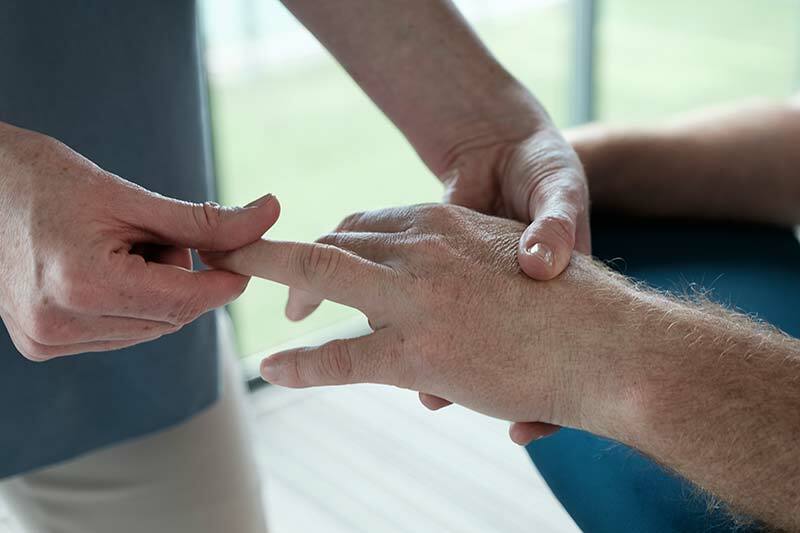 Musculoskeletal problems may range from temporary discomfort or pain in neck and shoulder region to chronic soft tissue disorders such as carpal tunnel syndrome or tendinitis. These problems can generally be avoided by good workplace and job design, and by adjusting the way VDU and workstation are used. We offer expert advice on how to resolve any issues identified, any adjustments required and make recommendations to enable the employer comply with the most recent VDU legislation. This is a 2 day practical and fun course designed for anyone from complete novices to enthusiastic amateurs who would like to learn how to give a massage to friends and family. During this workshop you will be taught basic massage techniques to ease tired, tense muscles and promote overall relaxation and wellbeing. Incorporating the classical movements of effleurage, petrissage and tapotement, you will be able to give a relaxing back massage to relieve stress at the end of this course. Running at selected intervals in 2018 – details to follow. Covering all practical techniques of Holistic Massage incorporating the classical movements of effleurage, petrissage, tapotment, friction and vibration which enables the therapist to provide full body, face, hand and foot massage. History of Massage, Effects & Benefits, Consultation & Treatment, Common ailments and contraindications, other Therapies, Towel Draping, Client Care, After Care Advice and Posture. The Cell & Tissues, The Skin, Skeleton System, Muscular System, Circulatory & Lymphatic System, Nervous System, Endocrine System, Respiratory System, Digestion System, Urinary System, Reproduction System. This foundation course is ideal for those wishing to pursue a career in complementary therapies. The focus of the course is on providing you with a highly professional and comprehensive training. Class sizes are kept small to ensure individual attention. You will gain all of the necessary practical and theoretical skills to allow you to confidently embark on a Holistic Massage practice as a highly professional therapist. Approximately 60% of course time is devoted to practical techniques. – Holistic Massage incorporating the classical movements treating the whole body. This course covers all aspects of Professionalism, Ethics, Health & Safety Legislation, Hygiene, First Aid, Running a Business, Marketing & Promotion. Indulge yourself in this luxurious full body, relaxing and therapeutic massage. This treatment combines a variety of massage techniques to unravel knots and release muscular tension and stress, promoting deep relaxation and a feeling of well-being. In this massage more time is concentrated on the back, neck and shoulders and will leave you feeling lighter, pampered and with a total sense of tranquillity. This massage encourages healing by relieving tension, stretching and loosening muscles and connective tissue and promoting blood flow and lymphatic system. Massage gives relief from the symptoms of anxiety, tension, stress and insomnia as well as back pain, headaches and muscle pain. Designed to improve circulation and help to cleanse the body of toxins, which are a by-product of modern life. It creates a balance within all the body systems, by promoting good organ function, while boosting the immune system, improving sleep patterns, skin tone and complexion. Deep Tissue Massage is a massage technique that focuses on the deeper layers of muscle tissue. It aims to release chronic patterns of tension in the body through slow strokes and deep finger pressure on the contacted areas, either following or going across the fibres of the muscles, tendons and fascia. A deep-tissue massage helps loosen muscle tissues, releases toxins from muscles and gets blood and oxygen circulating properly. Indian Head Massage is an ancient massage technique based on the Ayurvedic system of healing, which has been practised in India for over a thousand years. By working over the upper back, shoulders, neck and head and using pressure points on the face, Indian Head Massage provides you with the ultimate relaxing experience, giving instant relief from tension and symptoms of stress and inducing a state of calm, whilst promoting high levels of alertness and concentration. Indian Head Massage is particularly good for relieving stress, muscular tension and fatigue. It helps relieve eye strain, jaw ache, tension headaches, sinusitis and insomnia. By easing the knots of muscular tension and relaxing the connective tissue, Indian Head Massage helps increase mobility and flexibility in the neck and shoulders, while improving blood circulation and lymphatic flow. Reflexology is a gentle and effective complementary therapy, based on the principle that there are reflexes in the feet and hands which correspond to every part of the body. By stimulating and applying pressure to the feet or hands, the reflexologist stimulates and works the corresponding organ or system of the body. This gentle therapy encourages the body to work naturally to restore and maintain its own healthy equilibrium and encourage healing, while helping to boost the immune system and relaxing the body and mind.